Sunflower Granola Breakfast Parfaits — #CookingLightDiet Style! 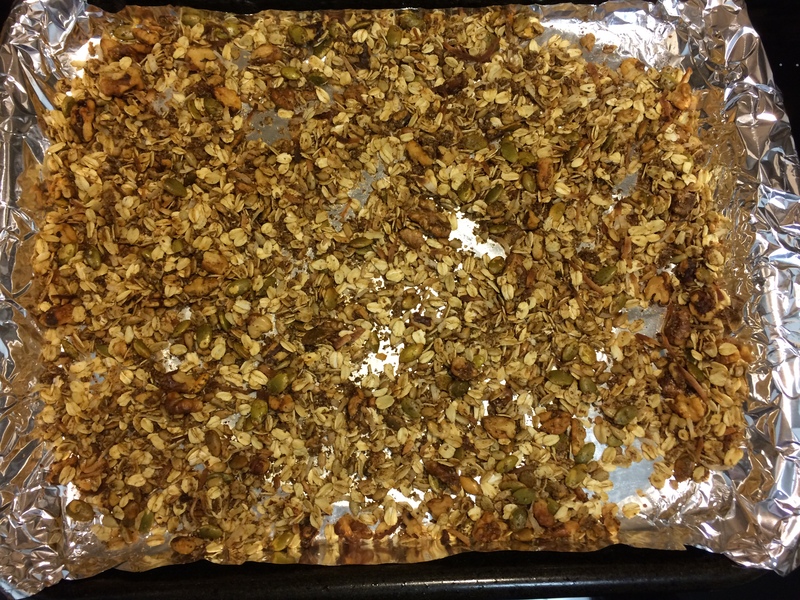 Oats, walnuts, sunflower seeds, shredded coconut, flaxseed meal, and pepitas drizzled with honey/butter/vanilla/cinnamon/salt mixture and broiled for a few minutes. Smells incredible! Can’t wait to put this over Greek yogurt and strawberries tomorrow am!